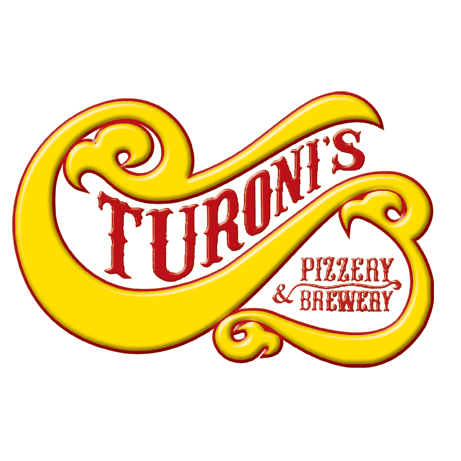 Turoni's Pizzery & Brewery takes great pride in serving you, and we thank you. We are dedicated to warm and friendly service to our guests by employees who give a damn. We pledge to provide the best products at the best value. If we are not proud of it we WILL NOT serve it! Turoni's pizza has been made in Evansville for over three decades, yet never before has the recipe been reproduced by commercial establishments because of the difficulties involved in preparation. Turoni's has been able to overcome these difficulties to share with you a freshly made pizza crust that is crisp and light enough to hold our secret sauce, gobs of gooey mozzarella cheese, and your favorite ingredients (including a few exotic ones) to make what we call "Our Specialty", Turoni's thin crust pizza. This flavor and texture makes Turoni's pizza very unique.